Every year, there is a film festival called Zoomfest that challenges student filmmakers from all over BC to create a film within a 48-hour time limit. At the beginning of the 48 hours, a theme and a prop that must be used in the film are announced. This year, the theme was “between a rock and a hard place” and the prop was a “radio”. This was the first year that Collingwood’s very own film club – aka Room 204 Productions – participated in this high-pressure and yet high-reward film festival. The Zoomfest team consisted of Bryn Cowan, Harrison Fuller, Bella Hallam, Stefan Kowalski, Nikolai Osborn, Sian Shin, and Selina Zhou, under the supervision of Mr. Francis and Mr. Pimentel. The intense 48 hours consisted of everything from transforming the corner of the art room into a 1940’s attic to filming for two hours in the middle of the forest despite the pouring rain. 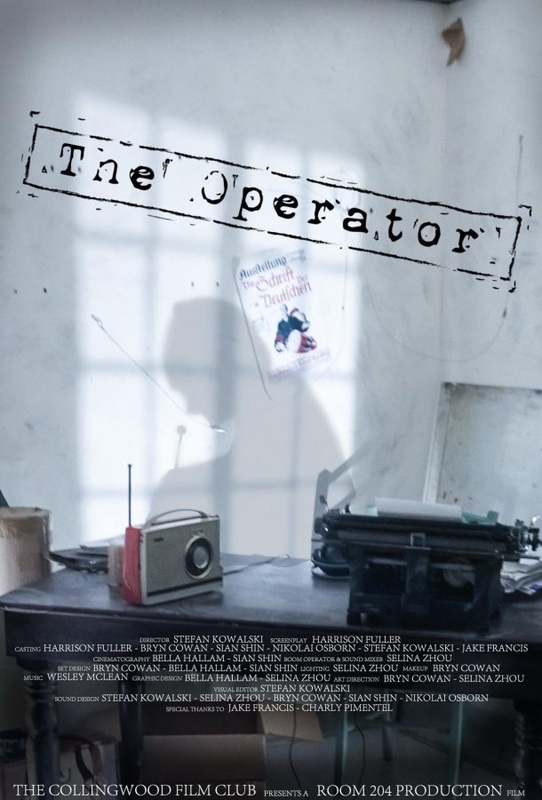 After 48 hours – specifically, after five minutes of the whole team gathering around the laptop, staring at the loading circle to make sure that the film was uploaded in time for the deadline – the film The Operator was submitted to the Zoomfest committee for judging. 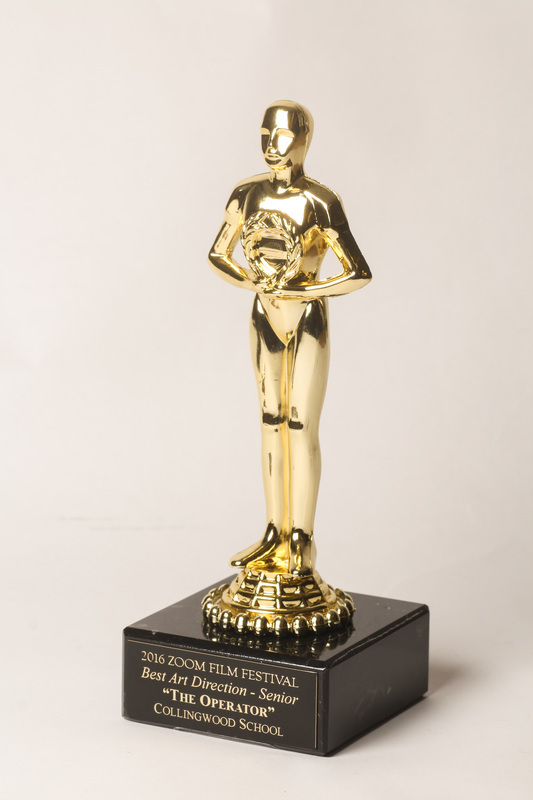 A few weeks later, the Zoomfest website posted a list of films that were nominated for various categories – and The Operator was among that list! 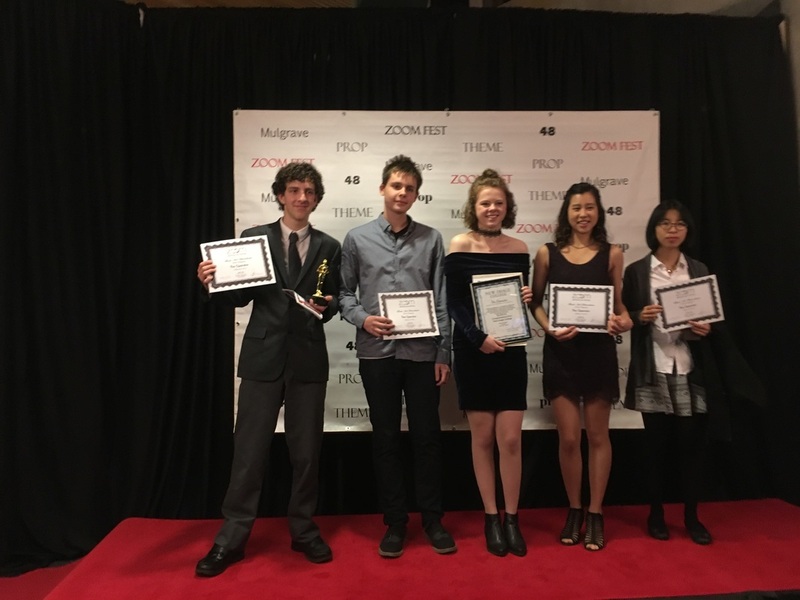 The following weekend, the film team dressed up in their best red-carpet attire and headed to Mulgrave for the Zoomfest awards ceremony night. That night, The Operator came home with 2nd place for Best Screenplay and 1st place for Best Art Direction. Needless to say, the team was extremely proud of their accomplishments, especially as Zoomfest first-timers! Collingwood Film Club’s Room 204 Productions is extremely excited to see what the rest of the year holds for them. Be sure to keep an eye out for their upcoming projects!